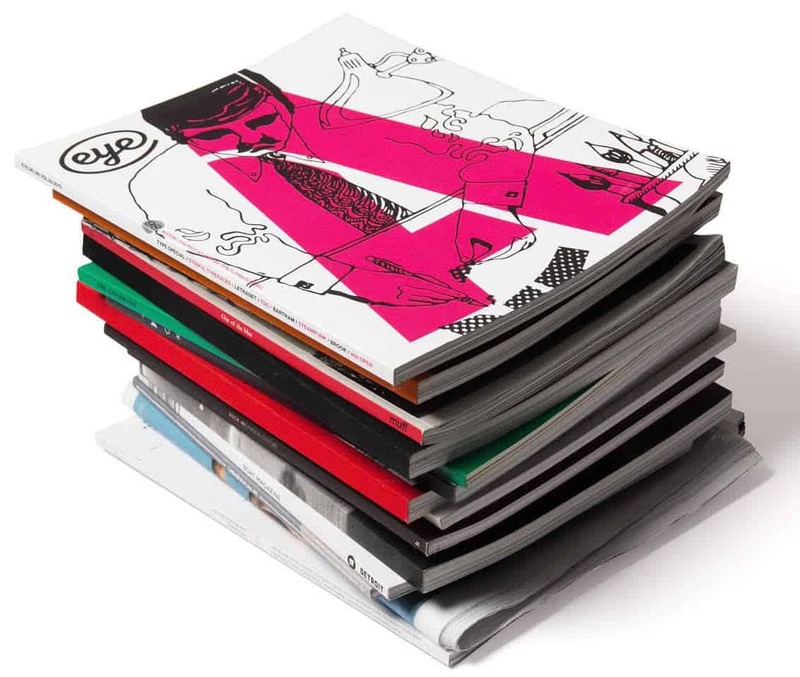 With a Stack Magazine subscription you don’t just get a subscription for one magazine, you get a subscription for… I don’t know how many, let’s say as many as you can handle. Every month Stack sends out a different independent magazine, chosen by the good people at Stack, they scour the planet for the best magazines, package them up and send them to your door. 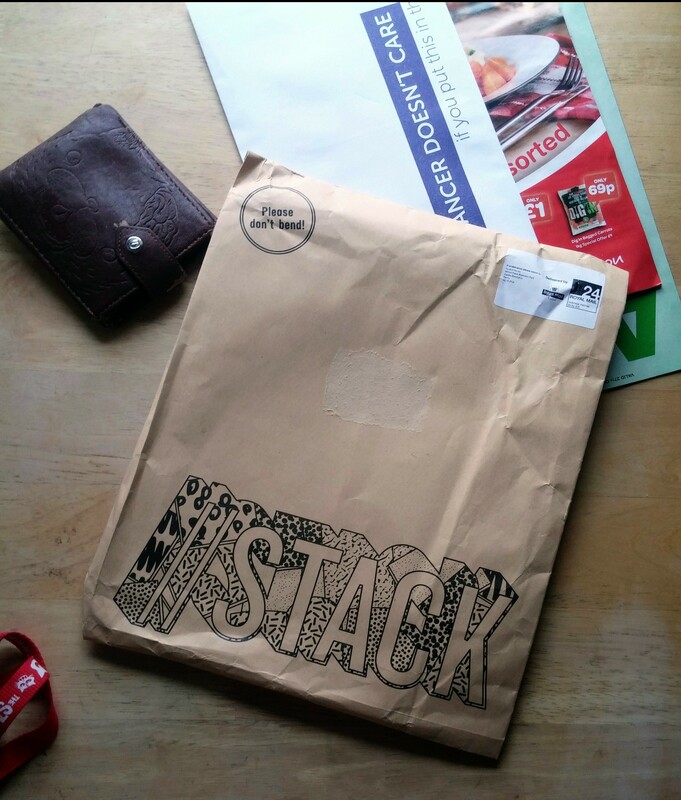 The magazines are sent in a plain brown paper envelope with a (pretty cool) Stack logo stamped on the back, just so you know to be excited when you see it come through your letterbox. If you live in the UK the subscription will cost you £5.50 per month, which works out cheaper than if you were to buy the magazine from a shop, this months magazine had a cover price of £12.50. You can be rest assured that you are definitely getting your moneys worth. The magazines sent out are random and nobody outside of Stack has any idea what they are until they open the package and peek inside. If that sounds a bit too risky, you can take out some of the risk by browsing through the magazines that have been sent out before to see if they interest you, however, new titles are always being added. Stack do allow you to opt out of receiving certain magazines if you don’t want/need/like them. If the idea of not knowing what magazine will come through your door bothers you, then this subscription is probably not for you. This months subscription included ‘hello mr.’ and a bonus free magazine called ‘ROOT + BONE‘, which were accompanied by a letter giving an explanation on the included magazines, providing a description and introduction. The letter gave me some insight into what these magazines were about and I was quite surprised when I read I had received a gay magazine. I had not expected that. As the saying goes, ‘don’t judge a book by it’s cover’, hello mr is a prime example of this exact thing. 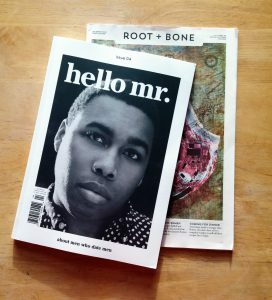 Hello mr is crafted with a minimalistic style that grabs attention and compliments this article driven magazine. 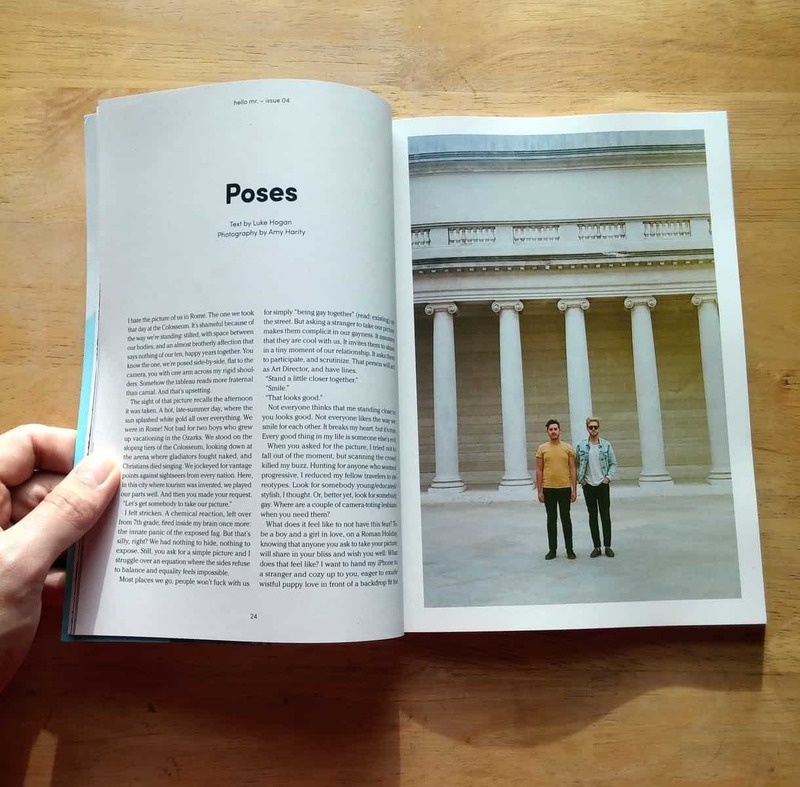 The articles are composed by professional and non-professional writers alike, each thoughtfully presented, my favourite was Poses by Luke Hogan, it was a look into humanity from another perspective, a thought provoking piece. Much is the style of this magazine, a self described “coy introduction for a new generation of men who date men”. ROOT + BONE was the bonus feature, an added extra. It is a cooking magazine taking a fresh perspective of the the culinary arts. It included recipes, funny cooking stories, humourous food related subjects and some genuinely informative food pieces. 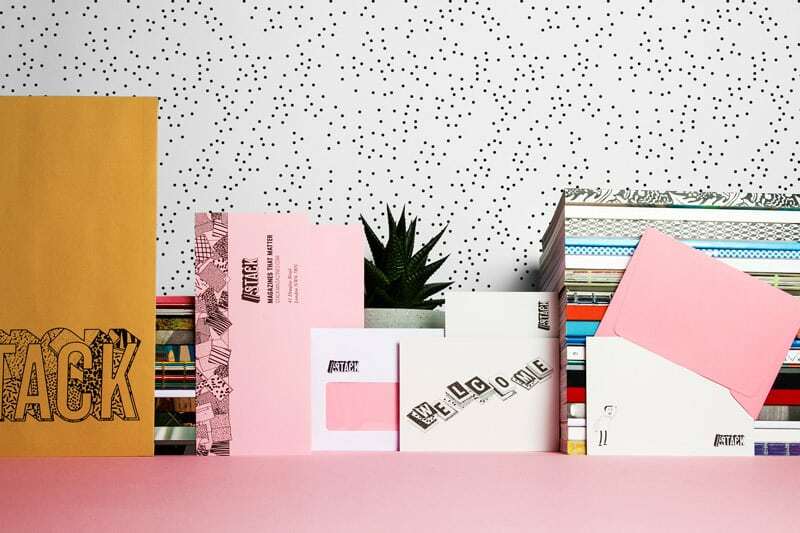 Stack finds magazines that you wouldn’t necessarily pick up, the finest of independent media from devoted passionate people who create something a bit different. If you are looking for something new and interesting every month that you know will provide guaranteed quality you should sign up for Stack now. If you are not sure your tastes are eclectic enough then this is probably not for you. If you do sign up, you can be sure that you will be surprised each month by what Stack sends you to read. Every month Stack delivers a different independent magazine to thousands of subscribers all around the world. You never know what you’ll get next, but you do know it will be a beautiful, intelligent magazine you probably wouldn’t otherwise have come across. From film and music to food and sports, these are the greatest, most exciting print magazines money can buy and we’ll deliver them direct to your door. Exclusive deal: Use the code ALLBOXES at checkout to get 10% off ! £5.50 per month, plus 50p delivery to the UK. Use the code ALLBOXES at checkout to get 10% off your subscription! How would you rate Stack ?